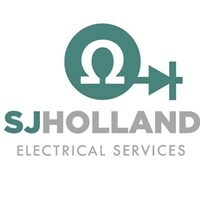 SJ Holland Electrical Services - Electrician based in Flitch Green, Essex. An honest, friendly hard working ethical business with a reputation for taking pride in all projects and meeting deadlines while maintaining customer value and satisfaction. I am up to date with current regulations and requirements and a creative ability to turn client’s electrical designs and aspirations into reality. Exceeding customer expectations is a fundamental part of our ethos. We are a two brothers of knowledgeable, reliable professional ideas offering excellent customer service standards.